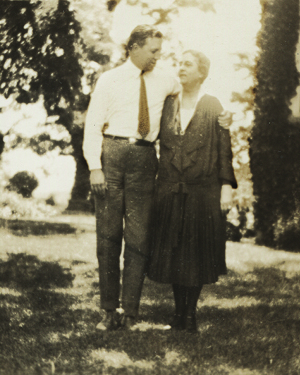 Robert Woodruff, founder of Winship Cancer Institute, and his mother Emily Winship Woodruff. The Winship 80 are patients who put their lives in our hands, scientists dedicated to unlocking the code of cancer, philanthropists who provide the support needed to create new knowledge, community leaders, caregivers, advocates, and volunteers who have shaped Winship Cancer Institute. One year from now we will celebrate the 80th anniversary of the founding of Winship Cancer Institute. In 1937, Robert Woodruff, the president of Coca-Cola, lost his mother to cancer. He was determined that no one would have to leave the state of Georgia to receive the best cancer treatment. 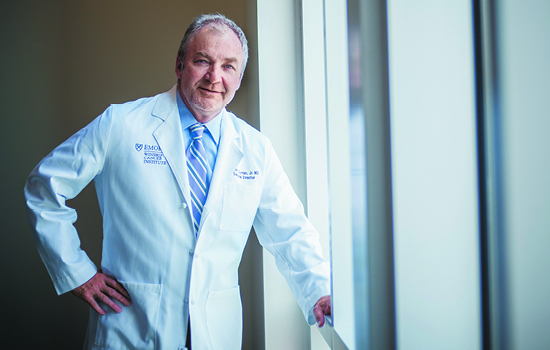 In her honor, he gave a generous gift to Emory University that helped create the Robert Winship Memorial Clinic, named for Woodruff's maternal grandfather. Today, we are fulfilling Mr. Woodruff's mission by translating research discoveries into better cancer care and making the most advanced cancer care available right here in Georgia. Looking back over the past eight decades, we see evidence of our hard work in the number of patients we care for from throughout Georgia and beyond, in the complexity of cancers we tackle, in the scientific contributions we make on a truly global scale, and in our ongoing commitment to lessen the burden of cancer in the state of Georgia. There are thousands of people over Winship's 80-year history who have made this happen and as part of our anniversary commemoration, we will honor 80 of them. The Winship 80 are patients who put their lives in our hands, scientists dedicated to unlocking the code of cancer, philanthropists who provide the support needed to create new knowledge, community leaders, caregivers, advocates, and volunteers who have shaped Winship Cancer Institute. Please let us know who you think should be one of The Winship 80. We invite you to submit a nomination online and tell us how that person has made a difference. For more information and to fill out a nomination form go to winshipcancer.emory.edu/Winship80-nomination. The deadline is December 2, 2016.